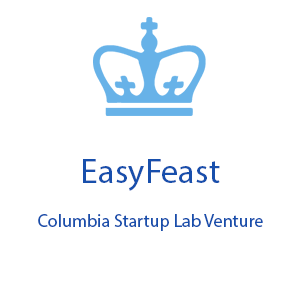 EasyFeast was created out of pure necessity. After Emily Magid ’14BUS had a son and went back to work, she found herself struggling to care for her baby, work a demanding job, and still find time for grocery shopping and cooking. She knew there had to be a better way to provide nutritious, home-cooked meals for her family, without sacrificing her sanity. A better choice had to exist for herself, and for other people like her. So, she created it. With EasyFeast, just a few clicks will book a personal chef to arrive at your doorstep and cook for you, leaving you with a fully-stocked fridge of nutritious and tasty meals – all for a reasonable price. The company is now open in Beta. We aren’t just cooking amazing meals, we’re serving up peace of mind. Leave the apron and spatula behind and learn more about EasyFeast here: https://www.easyfeast.com.